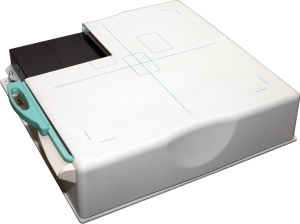 DIRA DFP4343 Detectors and Software for General Radiology and Veterinary use is a total X-ray visualization solution for OEM customers. 17” x 17” flat panel detector can be installed into any X-ray system. Due to its excellent diagnostic image quality and low radiation dose it allows the system to achieve high overall performance. 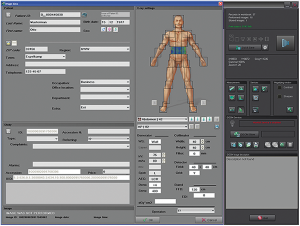 Powerful DIRA Software can be customized for OEM specific requirements to meet the needs of the end-user. A variety of options and accessories (PACS compatibility, mechanical adaptors, bucky/vertical stand) makes digital upgrade of existing conventional systems easy and inexpensive. Consistent support and trainings provided by DIRA service group 24/7 all over the Globe throughout the products life-time allows our OEM customers to significantly improve their end-user’s satisfaction. DIRA can be supplied with bucky and/or vertical stand making it possible to be installed in any system; thus providing an ideal solution for digital upgrade.